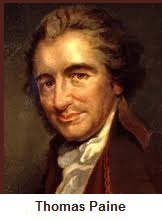 This is the famous opening line from the first pamphlet of a series entitled The American Crisis published from 1776 to 1783 during the American Revolution by Thomas Paine. Today, Scientology is in crisis. An ever-growing chorus from long time former Sea Org members and upper level executives allege that David Miscavige has eliminated checks and balances called for by its Founder, L. Ron Hubbard, and has beaten international executives and subjected them to inhumane treatment. Media and governmental bodies are rightfully taking up the stories. An independent internal investigation, which we have called for repeatedly, would immediately resolve these very serious and damaging charges. Rather than confront the accusations, however, the Miscavige administration continues to attack and label the whistleblowers “liars,” “defrocked apostates,” “suppressive persons,” and other derogatory terms, thereby holding the allegations in suspension and further dividing the Scientology community in addition to harming our message to the world and distancing us from the general public. Obviously the administration is not handling the situation. Far from it, these actions tend to prove that Miscavige is guilty of the abuses he is charged with and that he operates unchecked. The Debbie Cook debacle was a self-inflicted wound to Scientology and the church by the Miscavige administration, entirely avoidable. For those who missed the news, Debbie Cook sent an email to fellow Scientologists on New Year’s Day, pointing out LRH policy violations and the elimination of checks and balances at the top of Scientology international management by David Miscavige. To read the email, Click Here. Debbie, of course, was the Captain and face of the Flag Service Organization (FSO) for 17 years, a Sea Org member at Flag for 29. She was widely known, loved and respected in the Scientology community. She left the Sea Org for medical reasons in 2007 and became a public Scientologist in good standing with the Church. After she sent out her email, the Miscavige administration lashed out, suing her in a Texas court. In the name of the Flag Service Org (FSO), Miscavige claimed Debbie violated a confidentiality contract she had signed upon her departure and sought $300,000 in damages. He also sought an injunction that she not speak out again. She was forced to take the stand and testify why she felt her email did not violate her contract. And, boy, did she have something to say. Debbie’s email had merely cited LRH policy that she felt was being violated by the Miscavige administration and requested Scientologists to Keep Scientology Working by not going along with policy violations; e.g., use of org resources to solicit donations, which LRH forbade. In court, she testified that she had signed the confidentiality agreement under duress only to escape the cruel and inhumane treatment, including imprisonment, she had been subjected to by Miscavige after promotion to Int Base. ●Miscavige also ordered his communicator to break Debbie’s finger. The aide bent her finger but didn’t break it. Her testimony went viral on the Internet. For an example, Click Here. The confidentiality contract being sued on had a provision calling for arbitration before a panel of three Scientologists. The church could have sought $300,000 in damages through arbitration and then turned the award into a court judgment. Arbitration hearings are private. Therefore, Debbie’s testimony would not have been public, and would not have gone viral on the Internet. So, why did the Church waive its First Amendment privileges (by itself going into court) and force Debbie to take the stand in a public forum and defend herself? To an experienced lawyer, it makes zero sense. Obviously, Miscavige wanted an injunction. Injunctions can only be obtained in a court of law, not in an arbitration or small claims proceeding. Church lawyers obtained a temporary restraining order (“TRO”) and filed a motion for a preliminary injunction upon filing the lawsuit against Debbie. The lawsuit seeks damages plus a permanent injunction. For information on what an injunction is and its three stages, TRO, preliminary and permanent, see Click Here. Given Debbie’s allegations, however, it was impossible to obtain any injunction beyond a TRO. All she had to do to defeat the motion was testify that she signed it under duress. The Church has plenty of experienced lawyers on its payroll and found an established law firm in Texas to represent its interests. FSO lawyers pulled the plug to further damaging testimony by Debbie and other former high-ranking Sea Org members by dismissing the motion for preliminary injunction. Skilled, fully briefed lawyers would have advised Miscavige to dismiss the entire lawsuit. Instead, FSO filed a motion for summary judgment, i.e., a request that the court enter judgment without a trial. A summary judgment can only be granted when it is proven that no material issue of fact exists in the case. For more information, Click Here. This motion for summary judgment is dead on arrival. Debbie has already presented sufficient evidence to create a material issue of fact. To get around her testimony that she signed the confidentiality agreement under duress, Church lawyers offer a clever argument. Clever if one isn’t fully informed, that is. FSO presents evidence and argues that Debbie may have been under duress when she signed the contract, but that was in 2007. The duress supposedly ended some time after she walked away and she failed to take steps to indicate she was not in agreement with the terms of the contract she had signed. Church lawyers then invoked a principle in contract law called “ratification,” claiming she ratified the terms of the agreement by her silence. This argument is easily overcome by evidence that Debbie did not gain perspective on her ordeal and the duress she was under until recently. Besides, she can reasonably interpret the agreement not to have been a waiver of her ecclesiastical duty to Keep Scientology Working. Many former Sea Org members are available to testify that they, too, experienced the same abuses and degradation testified about by Debbie and that it took them years to “decompress” and make sense of it all. Why did I put up with the abuses in the first place? What about my eternity if I speak out? What about my connections to family and friends? Am I really screwed up, deserving of such inhumanities? For a summary of potential witnesses and their evidence, Click Here. There will be no summary judgment; there will be a trial. In both the opposition to the motion for summary judgment and the trial, Scientologists will finally be able to present their cases against Miscavige and his abuses to a trier of fact. It is sort of a fitting irony, given the fact that Miscavige has allegedly banished Executive Director International to “the hole,” thereby eliminating the convening authority for worldwide Scientology ecclesiastical matters, the person with the authority to convene a Committee of Evidence against Miscavige. Miscavige’s elimination of internal checks and balances has blocked private, internal reforms and has forced Scientologists who attempt to bypass Miscavige in order to Keep Scientology Working to try him in a public forum instead. In Scientology’s crisis, these are indeed the times that try men’s souls. The sunshine Scientologist and status seeker will, in this crisis, shrink from the service of LRH; but he that stands by him now, deserves the love and thanks of all Scientologists. We at SaveScientology.com thank Debbie for not shrinking from the service of L. Ron Hubbard and Scientology. For standing by it now, she has our love and thanks and deserves the same from all Scientologists. There is a simple solution to the overall situation: Miscavige should step aside and allow independent, internal investigations of the kind we have detailed in our Action Series. CST special directors should encourage him to do so and begin to absolve themselves of liability. LRH Intent to end one-man rule upon his death with multiple checks and balances among the seven boards of directors and trustees in three separate religious corporations should be implemented immediately. Administrative checks and balances should also be fully restored, which include the international executive strata, an independent Church of Scientology International, an effective Executive Director International, and the Watchdog Committee. Each of us can follow’s Debbie’s courageous example and do something to bring this about. Dare to confront and investigate the situation in Scientology. Dare to communicate to your fellow Scientologists. Dare to stand up to policy violations. Dare to spread the word. Naturally , we risk being falsely declared by standing up. “In a time of universal deceit, telling the truth is a revolutionary act.” — George Orwell. This entry was posted in Uncategorized and tagged church of scientology, Church of Scientology International, convening authority, CSI Independence, David Miscavige, Debbie Cook, Flag Service Organization, FSO, L. Ron Hubbard, LRH, lrh intent, Scientology, Scientology In Crisis. Bookmark the permalink. My wife and I fully support your brilliant approach to resolving this sit. and keeping Scientology working. Thank you for your courage and tenacity. We are getting closer to victory every day. I have been diligently following your site since its inception and am most pleased with this latest installment! We will win against tyranny and LRH’s vision will be truly rekindled! Miscavage is insane. Concentrate on protecting the church.You cannot help Miscavage, but let’s hope you can help the church. The church really will need help, because they really are off-purpose. I’m disappointing by the few who answer to this important article. people i talked to recently have no clue!!! are all BLINDS? WHAT IS GOING ON??? There are so many sights and people talking in the net, its time to create a grand jury! elect a judge and do a public trial. The findings could go to a civil low suit or the C OF S can come to their senses and apply Ehics conditions to the crimes. That will give the opportunity to others to come clean, and confess to altering Tech, altering admin, altering ethics. we will all then get such a relief that every one will happily give a hand to rehabilitate the name and confidence of the public in large in the true Scientology virtues. Patience, Jo. The lack of postings is due to the nature of this site and our audience. Our readers are typically disinclined to make public statements. We get plenty of emails and other signs of support, such as the number of letters that were mailed in to our lawyers. Fact is, we’re on a roll. Just mailed the 3 letters listed in the Action steps from myself and 3 others. All listing our names. A. call for accurate KR from each person who actually was harmmed by DM or OTHERS. B . sort it out from earliest to PT. C. Apoint A “grand jurri” on line. Cort Marshal, kind. D. let the jurry have all the evidense. E. publish it on lines. f. The public ALL IAS members will be jurry. G. vote will happen on line (same as in reality show). EYE. The apointed Judges will give the final judgment and punishment. upon reciving the votes. from what Debbie said under oath, Debbie’s executers of LRH tech, lost their minds and the Tech. A Comm Ev is a previlage. The ones who engaged in such crimes dont deserve it. Great article! Unfortunately, the Debbie Cook trial ended in a permanent injunction. So, Debbie is effectively out of the fight at this point. However, at least she showed that someone with integrity can stand up. She is definitely an inspiration to me. Agreed. To us, as well. Your research and reporting is exactly what is needed. Debbie Cook’s email on New Year’s Day came as a real eye opener which led me to take the time to digest and understand your comprehensive report on this site. What it clearly lays out is the form of the specific departure from the standard practices of the administration of Scientology. After refreshing myself with KSW, a paragraph popped out towards the end: “So the ogre which might eat us up is not the government or the High Priests. It’s our possible failure to retain and practice our technology.” From my perspective, being alerted to the current status of the structure of the organization at the leadership level coupled with this very insightful research; my responsibility with respect to KSW compelled me to do something as clearly we have a constitutional crisis. Like most Scientologists, I understood that speaking out came with consequences. Being labeled “Declared” is not conducive to doing business or socializing within the group, even interacting with one’s family members whose continued advancement up the Bridge would certainly be impacted. I realized that these threats would prevent the vast majority of our membership from taking any meaningful action. It’s for that precise reason I decided to take personal action and write directly to management, expressing my concerns and in the absence of any acknowledgment or explanation, eventually offered some financial aid for Debbie Cook’s legal defense. As expected, I was “declared”. I found this out on a trip to New York in June at the summons of CJC who presented me with a declare issued in February. I was shown Debbie Cook’s declare – which would not stand up in a practical drill exercise, by the way. My declare can only be described as a boiler plate document with no specifics. Of course I asked for a comm ev but have never heard back. So not surprisingly, failure to practice our technology is in evidence even at the ethics and justice level. My comment to those who share my concern and trepidation is to recognize that Scientology as an organization currently has a condition relevant to the society at large which has nothing to do with the technology. It relates specifically to OUR LEADERSHIP which has adopted what turns out to be non-standard and allegedly even illegal policies and practices. We are finally seeing the fallout. As Scientologists we can’t afford to continue to ignore or fail to distinguish the difference between the technology and the leadership while remaining loyal to the cause. This is precisely what those in control are demanding of us and are prepared to punish or suppress anyone who publicly makes that distinction. Scientology at its core is about the capacity to effect change – even the newest student is equipped with those fundamentals, “Conditions”. We can change this condition and it’s in our hands to do so – not those who came before or those who come after us. This condition will be of short duration if we do something about it. I am! I’m not a scientologist, or even religious at all, but in my opinion, if you want have your religion taken seriously, the church has to stop copyrighting the material.